Specialists in self-watering systems, AutoPot is an international market leader in irrigation and hydroponic systems and have an established global reputation for providing durable and environmentally friendly watering solutions. 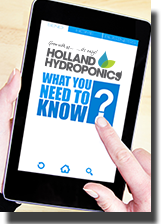 With environmental and water conservation issues becoming more prominent, more and more people are seeing the advantage of self-watering systems. AutoPots have been proven to increase yields whilst reducing the consumption of water and feed by a massive 40%! AutoPot’s Easy2Grow system offers maintenance free growing for a variety of uses, including in a greenhouse, polytunnel, garden or home. The environmentally friendly system doesn’t need any electricity or timers to work, meaning you can relax when away from your plants knowing that they’re still getting looked after. Gravity will do everything for you! AutoPot offer a wide range of water butts and tanks to suit any scale and gardener. The AutoPot 1Pot is a fully automated, low maintenance, watering system that uses 15L pots and an AQUAvalve to gravity to feed plants without the need for noisy water pumps or additional timers. The Autopot Easy2Go Kit is a simple, yet fantastic, automatic watering kit for your grow room and is an ideal solution if you have to leave your plants over pro-longed periods of time, such as a holiday, but need to ensure they receive regular feeding at optimum levels. Looking to extend or modify your AutoPot system.